Background Newly emergent and virulent strains of H7N9 avian influenza virus are rapidly spreading in China and threaten to invade Vietnam. We sought to introduce aerosol sampling for avian influenza viruses in Vietnam. Methods During October 2017, National Institute for Occupational Safety and Health 2-stage aerosol samplers were assembled on a tripod and run for 4 hours. Concomitantly, up to 20 oropharyngeal (OP) swab samples were collected from chickens and ducks distanced at 0.2–1.5 m from each sampler. Results The 3 weeks of sampling yielded 30 aerosol samples that were 90% positive for influenza A, by quantitative reverse-transcription polymerase chain reaction, and 116 OP swab sample pools (5 samples per pool) that were 47% positive. Egg cultures yielded 1 influenza A virus (not H5 or H7) from aerosol and 25 influenza A viruses from OP swab sample pools (5 were H5 positive). The association between positive sample types (over time and position) was strong, with 91.7% of positive OP pooled swab samples confirmed by positive aerosol samples and 81% of influenza A positive aerosol samples confirmed by positive OP swab samples. Conclusions We posit that aerosol sampling might be used for early warning screening of poultry markets for novel influenza virus detection, such as H7N9. Markets with positive aerosol samples might be followed up with more focused individual bird or cage swabbing, and back-tracing could be performed later to locate specific farms harboring novel virus. Culling birds in such farms could reduce highly pathogenic avian influenza virus spread among poultry and humans. Bui, V.N., Nguyen, T.T., Hung Nguyen-Viet, Bui, A.N., McCallion, K.A., Hu Suk Lee, Than, S.T., Coleman, K.K. and Gray, G.C. 2019. Bioaerosol sampling to detect avian influenza virus in Hanoi’s largest live poultry market. 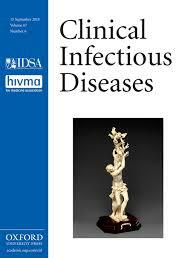 Clinical Infectious Diseases 68(6): 972–975.